OK-SAFE, Inc. – This explanation by OK2A was so well done we decided to post it in it’s entirety. Worth remembering as the debate on “2nd Amendment rights” continues in 2014, is that the “right” to self-defense is an inherent right – you’re born with it. The right to protect one’s life predates any constitution. Okay; before you accuse me of being crazy or of trying to over-sensationalize the subject, hear me out because the answer to this question, according to the state courts, is yes. Before I get into what the courts said, let’s start with the Oklahoma Constitution. One concern is the problematic wording of Article 2, Section 26 of the Oklahoma Constitution (our state version of the Second Amendment). 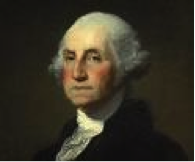 It says, “The right of a citizen to keep and bear arms in defense of his home, person, or property, or in aid of the civil power, when thereunto legally summoned, shall never be prohibited; but nothing herein contained shall prevent the Legislature from regulating the carrying of weapons” (emphasis added). The first part of the sentence is solidly worded. The problem is everything after the semicolon. The Oklahoma Constitution gives the legislature the power to regulate the carrying of weapons without limitation. In 2012, OK2A worked with several legislators on the Open Carry bill. We added several other measures into that bill, including one that made it legal to carry an unconcealed weapon on your own property for the purpose of self-defense and without a permit. It was illegal for you to carry an unconcealed handgun on you own property until November, 2012! Why? Because the Oklahoma Constitution says the Legislature has the unlimited power to regulate the carrying of weapons. Another problem comes courtesy of the Oklahoma Supreme Court’s 1908 decision in ex parte Thomas. Mr. Thomas was arrested in Payne county for carrying a concealed handgun. His conviction was appealed to the State Supreme Court. In this case, the Court said that the state constitution does NOT guarantee the right of defense to an individual, totally ignoring the first half of Article 2, Section 26. They claimed that the right only applied to the militia. They went on to say that because handguns aren’t effective militia weapons they are not protected arms. The Oklahoma Supreme Court cited Thomas and Pierce as recently as 1998, meaning that it is established case-law. This is another problem in and of itself. Judges seem to care more about what other judges say than what the Constitution or law says. So, to get the courts to reverse course on this issue will be nearly impossible unless they have something entirely new to look at. Enter HJR1026. The fundamental right of each individual citizen to keep and bear (that is, to carry) arms, including handguns, rifles, shotguns, knives, non-lethal defensive weapons and other arms in common use, as well as ammunition and the components of arms and ammunition, for security, self-defense, lawful hunting and recreation, in aid of the civil power when thereunto lawfully summoned, or for any other legitimate purpose shall not be infringed. Any regulations of this right shall be subject to strict scrutiny. This section shall not prevent the Legislature from prohibiting the possession of arms by those convicted of any violent or otherwise dangerous felony, those adjudicated as mentally incompetent, or those who have been committed in any mental institution. No law shall impose licensure, registration, or special taxation on the acquisition, ownership, or possession of arms, ammunition, or the components of arms or ammunition. This new language would give Oklahoma the strongest constitutional protection of any state in the Union. Not only does it recognize the individual’s right to self-preservation and the right of the state to raise a state guard, it protects recreational use of firearms. The wording of the proposed amendment also addresses the bad case-law previously discussed. Furthermore, the requirement that judges use “strict scrutiny” in their review of Oklahoma’s firearms laws will restrict the government’s ability to regulate the possession and carrying of firearms to a higher degree. There are three levels of scrutiny used by the courts: rational basis scrutiny, intermediate scrutiny, and strict scrutiny. Currently, Second Amendment law is reviewed using intermediate scrutiny, which only requires the state to show they have some compelling interest. Strict scrutiny, however, requires not only a compelling interest but also requires the state to use the least disruptive means possible when regulating the right. In other words, case-law that would allow the state to ban handguns will not withstand strict scrutiny. Now, back to the title of this article. We are not over-sensationalizing the situation. Yes; I know this is Oklahoma and the likelihood that our state legislature and governor would actually collude to ban handguns is far-fetched – at least it is today. I’m sure that if you could travel back 20 years in time to meet with a group of Coloradans to tell them they would have to mount a recall effort to deal with a state legislature bent on passing draconian gun control laws, they wouldn’t believe you. The political winds can change quickly. We want to fix it before it has a chance to become a problem. Beyond that, just including the requirement for strict scrutiny in our state’s constitution will strengthen our position when dealing with obstinate state legislators as we continue to deal with some of our state’s more impractical gun laws and will make it easier to deal with these in the courts when the legislature refuses to act. HJR1026 is a critical piece of legislation. Please call your state representative and state senator and ask them not only to support it, but to sign on as a co-author. The House switchboard number is (405) 521-2711 and the Senate switchboard number is (405) 524-0126. You can also download our issue brief on the measure here. OK-SAFE, Inc. – On December 5, 2012, the United States District Court for the Eastern District of New York rendered it’s decision on the complaint filed by the Roman Catholic Archdiocese and associated entities on the issue of mandating coverage for contraceptives, including abortifacients. The website Mirror of Justice reports the details of the decision here. NewOK reported this story on 12/12/12 here. It looks like challenges to the Patient Protection and Affordable Act will continue for quite some time. The NY District Court decision on one of the PPACA mandates is encouraging to those of us who are striving to reverse this government overreach. May the people continue their fight. OK-SAFE, Inc. – As we approach the traditional day of thanksgiving in this country, we are reminded that each day of life is a gift from God – everyday needs to be a day of thanksgiving, with some time spent remembering and acknowledging Who the author is of all our blessings. The Board of OK-SAFE wishes each of you a blessed, healthy and safe Thanksgiving day. The following letter of support from our friends in Kansas, who are also engaged in a fight against the implementation of PPACA (the Patient Protection and Affordable Care Act, aka “Obama Care”). Like Oklahoma, Kansas citizens applied political pressure to their legislators and governor and rejected the Obama Care enabler “Early Innovator” federal grant money. 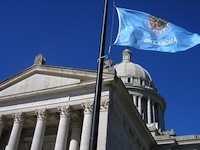 RE: OK-SAFE comments on the recent Joint Legislative Committee on Health Care Reform Law in Oklahoma. On behalf of the Stop Obama Care in Kansas (the Republic) (SOCK) tour we are 100% in solidarity with you, OK-SAFE and the citizens of Oklahoma. -U.S. Constitution, Article II §1. All of the descriptors of this duty to the U.S. Constitution are action words which clearly indicate that his duty is an active duty not a passive duty. One may not, consistent with their oath to the Constitution, sit quietly by as the Constitution is violated or otherwise attacked. Also note this duty is by no means limited to military or other physical attacks but includes all attacks including philosophical attacks and legislative, judicial and executive usurpations. Also those who are not fulfilling their duty in this regard are also failing to support the Constitution and are passively attacking the Constitution. Under the Kentucky and Virginia Resolves, Thomas Jefferson and James Madison espoused the principle that any time the central government exceeded its authority under the Constitution then the central government’s actions in such regard was a nullity and of no force and effect upon the sovereign States. They also noted the only way for the states to preserve the Union was to protect the Constitution from such usurpations by the federal government and in fact the States not only had a right but indeed a duty (were required) to intervene and “interpose” themselves between the central government and their citizens to stop an infringement of the rights of their citizens. In 1803, Chief Justice John Marshall, speaking on behalf of the U.S. Supreme Court, affirmed the principle espoused by Jefferson and Madison, holding that any federal law which was not “in pursuance” of the Constitution was a total nullity upon its inception and never comes into force and effect. Murbarry v. Madison. (See U.S. Constitution Art. VI cl.2.) As such no one is required to enforce, obey or otherwise support such law. In fact to support such an unconstitutional law would be a breach of one’s duty to the Constitution. Note the Court said the law was a nullity upon its very inception not from the time the Court declared it to be so. What this means is that all those who are under an oath to the Constitution must in the first instance determine for themselves if a law or regulation is Constitutional. Once they have made that determination their further conduct is sealed. It is no excuse for those under oath to say they are “not an attorney” or are not a “Constitutional scholar”. Once they raise their hand and swear their oath to the Constitution they are required to have a working knowledge of the Constitution otherwise they are incompetent to hold office. In other words such oath established a substantive requirement for them to be qualified to hold office, the oath is not a mere formality as most public officials now treat it. For those of us who know the law, our public servants have no excuse for their ignorance except for laziness and incompetence. In Kansas the Governor has declared Obama Care to be “unconstitutional”. He has thereby limited the actions he may take as to Obama Care. Also Kansas has sued the federal government based on Obama Care being unconstitutional. Therefore, the official policy of Kansas is that Obama Care is unconstitutional. Further the Federal District Court and the 11th Circuit Court of Appeals have found it to be unconstitutional at some level. Therefore, any official in Kansas that moves ahead with Obama Care is violating their oath to support the U.S. Constitution by supporting and or implementing an unconstitutional law. I am sure you will find that Oklahoma politicians are in the same position. Thank you for all your effort to return our Republic to Constitutional Governance.